What makes PageFramer the best content management system (CMS) choice for you and your business? PageFramer is the best CMS because it combines essential features, which allows you to easily create the custom web design that can help your business flourish. When you create a custom web design, you want a secure website. You want seamless SEO integration. You want themes and modules that can changes and be customized to fit the ever-changing needs of your business. PageFramer is the best CMS available to provide all of those things for you in one tidy package. 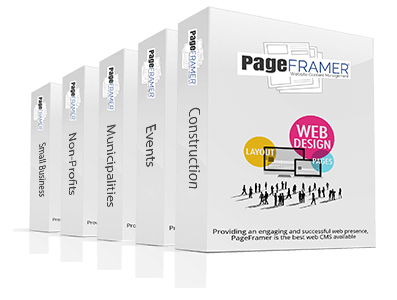 PageFramer provides your business with the framework of a beautiful custom web design, but what powers PageFramer? PageFramer runs on PHP/MySQL. Because PHP s one of the most widely used programming languages in the world, and the MySQL database is a robust, trusted, and heavily-relied upon database platform for mission critical applications. When you use PageFramer, you’re using the best CMS for your business backed by everything that PHP/MySQL has to offer. PageFramer not only helps you build a custom web design, it saves you money by saving you time. With PageFramer, you have quick and easy access to your intranet CMS, which can help you and your employees distribute documents to each other and your customers quickly and efficiently. PageFramer wouldn’t be one of the best CMS solutions for your business without also having access to employee-only pages. These pages are integral to your business, and they allow your employees to access an intranet CMS that is streamlined and intuitive. Because PageFramer is so streamlined and intuitive, you also save time on training your employees and troubleshooting any problems that might arise, which is what you should expect from the best CMS for your business.